No matter if you use videos, pictures, bookmarks or product information. slidestaxx brings it all seamlessly together. 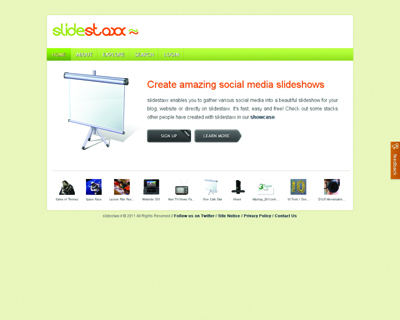 slidestaxx allows for a wide variety of media sources – from YouTube to Flickr.